Home/Posts/When Bad News Hits the Front Page: Where is the response? Negative stories about terrible situations involving medical travelers are regular headline grabbing news reports around the world. These medical errors are horrible for the patients and their families, but they remain isolated stories. The media ignores the fact that thousands and thousands of people travel abroad for medical procedures that are performed safely and satisfactorily. Of course, those stories do not get the attention they deserve. Why not? There are two reasons why these negative stories go unanswered. First, the medical travel sector does not do enough to promote positive stories with excellent outcomes. There are many reasons for this lack of good news – patient privacy, weak data collection, lack of leadership to represent the sector, and more. Providers cannot rely on the medical travel sector to offer a united, fact-based response to the media to protect and defend the good work being done. The second reason is that providers themselves are unprepared to offer responsible responses to these challenging situations. When negative news hits, the typical response is reactive and inadequate. Representatives involved in the negative situation refuse to take calls from the media or offer inappropriate responses that only serve to make the situation worse. Failing to have a plan in place further damages reputations. Let’s look at one example that recently impacted the global cosmetic surgery world – the sales stoppage of breast implants. On December 20, 2018, Allergan, the maker of textured breast implants, announced the halt of sales first in France and then in Europe[i] because of the link to a rare form of cancer. The impact of this stoppage sent shockwaves through cosmetic surgery clinics around the world. Who should be prepared to respond prepared to effectively respond to scared patients? Negative news stories appear on a regular basis especially as they relate to international medical travel in general or cosmetic or bariatric procedures in particular. 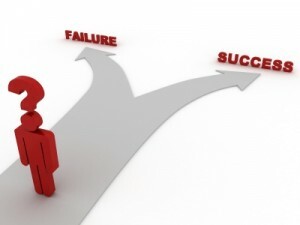 A story impacting your practice will happen – it is a matter of when, not if. Is your staff ready to successfully handle calls from the media? Effectively interact with upset customers or patients? Having policies and procedures in place as well as staff training in the practice can defuse difficult situations, minimize risks to patients, and protect your reputation and your employees. Let’s look at the Allergan story in more detail as an example of a negative situation that requires damage control for cosmetic surgeons everywhere. The news concerning the stoppage of Allergan’s textured breast implants certainly impacts patients who have already received the textured breast implants causing them stress and concern. Patients may not know if the breast implants they received are Allergan or another brand, textured or smooth. The story may deter other patients from pursing breast enlargement procedures in the future. What is certain is that this story will cause patients to call with questions. Cosmetic surgeons and their support staff should be ready to answer additional questions from current, past, and prospective clients who are nervous about the health implications of their choices. Everyone in a cosmetic surgery department or clinic who is tasked with responding to questions from patients must have the facts about why it has happened, what the risks are to patients, what reassuring messages should be delivered to upset clients, and what alternatives there are available to those patients. The link between breast implants and cancer is not new and has been reported in the past[ii]; however, recently concerns about it have been rising. Breast implants, particularly textured implants, have been linked to a rare blood cancer called “anaplastic large cell lymphoma (ALCL). First identified in 1997, breast-implant-associated ALCL can take about 10 years to develop after an implant first goes in. 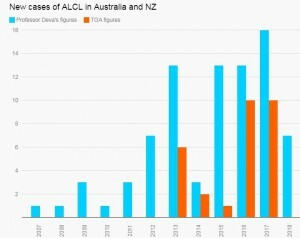 [iii] No central agency is tracking the ALCL data across borders. While individual countries may track and report this unusual cancer, few accurate numbers are available to estimate how widespread the cancer is on a global basis. The increasing number of reported cases led to the EU ordering Allergan to stop. The cancer has been detected in women who receive smooth implants, which are more common for women in the United States; however, overall the risk seems to be higher with textured implants. Risk depends on the type of implant – even textured implants differ – and little research has been done to better determine the risk to patients. While the research is unclear, it is the duty of physicians and staff to make sense of this information and prepare to share it with patients in a way that is accurate, understandable, and reassuring. These risk factors and available information should have been on the minds of cosmetic surgeons prior to this anticipated stoppage, communicated to staff, questions and answers prepared, and a plan in place to respond to concerned patients. Failing to anticipate this type of situation can compromise patient safety, result in incorrect or incomplete information being provided to patients, leave staff to deliver responses that fail to reassure patients or offer solutions to upset clients. The results of the failure to plan include damage to reputation, claims of malpractice, and, most important, patients may suffer adverse medical problems. If the information about the cancer link took surgeons by surprise, developing an appropriate response while anxious patients are calling is a difficult challenge. Having policies and procedures in place for dealing with similar situations reduces chaos by providing structure when something bad happens. Having reassuring messages prepared in advance can help calm patients especially during high stress situations like the ones that may result from clients who have received the Allergan textured implants. What will you say to them? Your response will either help them to decide what to do next or upset them even more. Share the facts and information in general as well as they pertain to each patient. While the risks seem to be low, conflicting information exists. How will you present your assessment of the risks to your patients? Keep in mind that offering clinical information without putting it in the context of the patient’s emotional state can seem cold and alienating further heightening upset. Your staff can be taught our techniques for creating the types of responses that reinforce your brand, offer concern, deliver information, and direct clients to the next positive step. 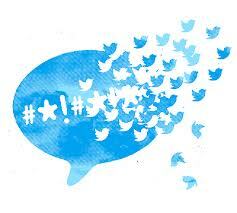 What will the next positive step be that can be communicated to upset customers? Various clinical and nonclinical avenues can be formulated appropriate to the level of the negative situation. The clinical options offered to patients can be tailored to the particular clinic. If your clinic never used the Allergan textured implants, clients can be reassured with that information. Offer a free examination. Recommend other courses of action. We can help you provide the right response in the right way to support the patient-physician relationship. Staff should be prepared to respond to these difficult situations with a (1) human response, reassuring clients that their health and safety are the top priority. (2) Facts and information can be shared with patients but in a supportive, responsive way. (3) Clinical and/or nonclinical options can be offered when appropriate. This three part response should be part of every interaction with upset customers regardless of the reason for their distress. Effective policies, procedures, and training can turn even the most difficult situation into a workable solution for your patient, your staff, and your organization. 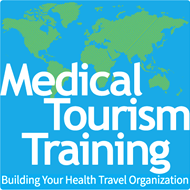 The team at Medical Tourism Training is available to help you prepare for negative events like news stories by creating policies and procedures as well as training staff to work with upset customers, handle media calls, and other stressful situations. 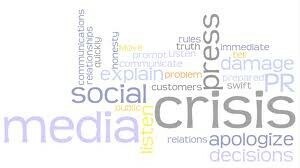 Our team has prepared policies and procedures for clients that include working with the media, authoritative responses to negative and positive news stories that impact your organization, and training staff to effectively deal with stressful situations within the work place. Our course, “Working with Upset Customers”, is offered on-line as well as an on-site workshop to transform relationships, reduce stress, and impart tried and true strategies to improve communication. Contact us today and be prepared!